This week at the Aqua Toto Gifu aquarium in Japan, one of the coolest holiday Ideas I have ever seen was introduced to the public. 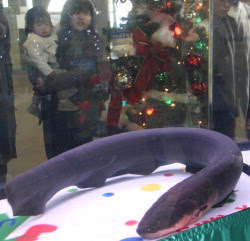 The aquarium has on display, an electric eel in an aquarium that is actually powering lights on a near by christmas tree. In nature the eels have the ability to produce an electric current for the purpose of stunning near bye prey. The aquarium had the ingenious idea to use the eels natural electrical power for holiday cheer, and people are flocking to the aquarium to see this amazing display. The picture to the right was posted in the Mainichi Daily News in Japan. Maybe someday we will be driving around electric eel powered hybrid cars. HMMMM. I would like to welcome another guest blogger, Lexi Jones. 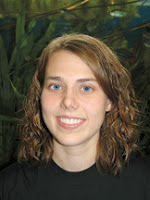 Lexi is one of our staff marine biologists, and a Supervisor in our retail store fish room. Want to keep Oscars? This popular South American fish has been an aquarium favorite for decades, but keeping them often requires more than a beginner aquarist is prepared for despite their hardy nature. There are many things you must think about before buying these potentially large and high maintenance fish. Oscars can grow very large, very fast. 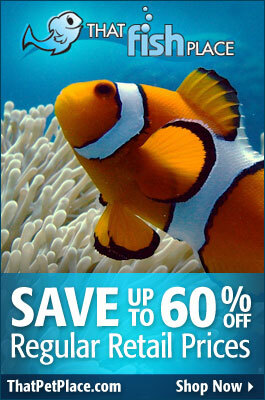 It is not recommended to keep one Oscar in a tank smaller than 55 gallons, and some say not smaller than 75 gallons! The Oscar can reach an adult size of 14.” How fast they grow depends on water quality, how much you feed your Oscar, and tank size. 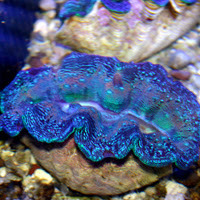 Keeping them in a smaller tank may stunt their growth, cause deformities, and shorten their lifespan. 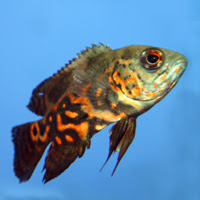 Oscars can also become very aggressive and territorial, thus they are best kept alone or with other Oscars in a VERY large tank. 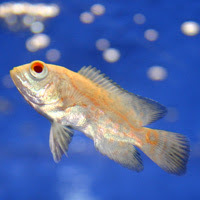 However, if you insist on keeping a different species with them, you can try keeping other cichlids of a similar size like Texas cichlids or Jack Dempsey cichlids. Males, in particular, can fight each other for dominance in the aquarium, and it may lead to fatalities. Oscars need very good filtration, they will put a heavy load on your biological filter. They are messy eaters and create a lot of fish waste. Please avoid undergravel filters; these can not handle the waste Oscars produce and create even more water quality issues. Large power filters or canisters are the best options. Partial water changes (at least 25% every 2-4 weeks) will also help keep the tank cleaner and keep the nitrates to a minimum. Testing the water quality once a week is recommended. The pH range for Oscars is be between 6.5 and 7.5; however, for success the pH must remain stable. Ammonia and nitrite readings should be zero, and nitrates should be as low as possible. The temperature that Oscars prefer is between 75 to 80 degrees Fahrenheit, so a heater is a must. So, what can you feed your Oscar? They will eat pretty much anything that will fit in their mouth, but this is not healthy for them. To keep them healthy it best to feed them a variety of flake, pellet, and frozen foods. They come in various sizes for your baby Oscar or a full grown adult. Good choices include: Spectrum pellet foods, mysis shrimp, krill, beef heart, bloodworms, and night crawlers. We recommend not feeding live foods as a primary food source for your Oscars. Feeder goldfish can carry parasites and diseases, and are not a complete source of nutrition. Your oscars may appreciate a live treat on occasion, but ghost shimp or mollies may be better options. Keep in mind that Oscars may look cute when they are little, but they can double or triple their size in a matter of months. Therefore, they absolutely need a large tank to be healthy and happy. Providing a large home from the beginning is much better than continuously moving them from tank to tank. Thanks for the great blog Lexi, until next time. One of the newer additions to our canister filter line, is the UniMax Plus canister filter from AquaEl. AquaEl is still a relatively new name to the US marker, with a long history of quality products sold in Europe. 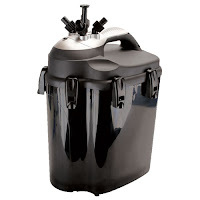 The UniMax Plus is one of the best canister filters to hit the US market in recent years, with several features that make it both unique, and high performance. The feature that really stands out with the UniMax plus, is its internal UV sterilizer, providing unrivaled water quality, with a single piece of equipment. Mechanical, Biological, Chemical, and Sterilization all in one. Another cool feature of the UniMax, are the multiple intakes and outlets on the two larger models. 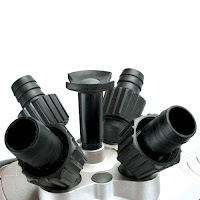 This gives you much improved water flow in larger tanks, versus models with only a single inlet and outlet. The impeller design is also unique in the unimax, the impeller housing sits below the water level inside the canister, unlike most other units that have the impeller housing above the water level of the canister. This allows for easy priming of the filter, and extra quiet opperation. The Unimax models with multiple intakes and outlets, also use a multiple impeller design, which gives you a built in back up should one impeller be damaged, or stop functioning. If you are considering a canister filter, give the UniMax a good look, I think that you will be impressed with the features it has when you compare it to some of the other filters on the market.